Good morning. It's Monday, Sept. 17. • Street racing is killing young people in the Inland Empire. 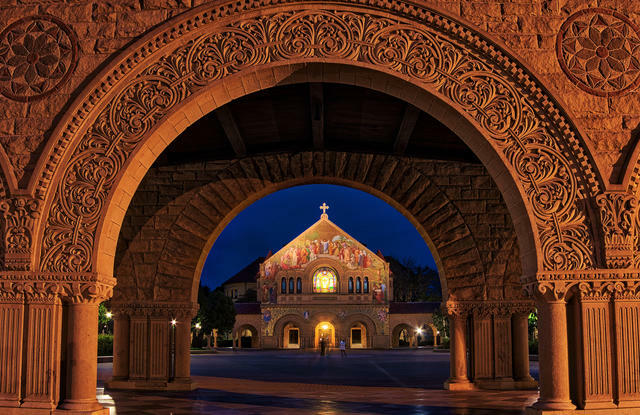 • Stanford plans to scrub campus references to Junipero Serra. • And an epic bike trail takes shape between Marin and Humboldt. 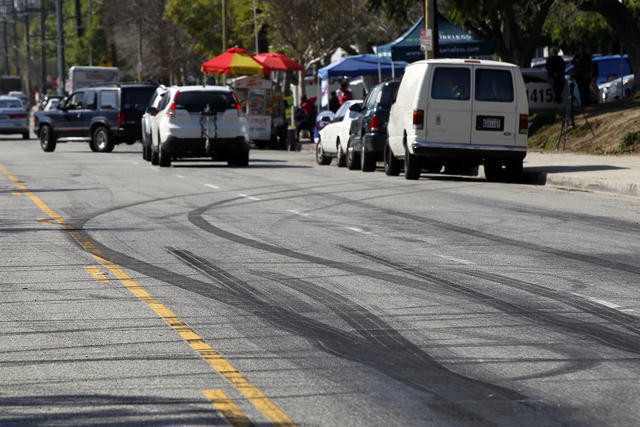 Skid marks were visible on a street in Los Angeles after a street racer swerved onto a sidewalk, killing two people, in 2015. Inspired in part by movies, street racing has become extremely popular with young people in Southern California — and it's too often deadly. A few weeks ago, four people — all age 21 or younger — were killed when their car hit a divider and flipped in Moreno Valley, The Guardian reported. Police get calls daily about the racers, who operate across a vast playground of remote streets in Riverside County. "It's too big," one officer told the newspaper. "We don’t have the manpower to keep our eyes out everywhere." Gov. 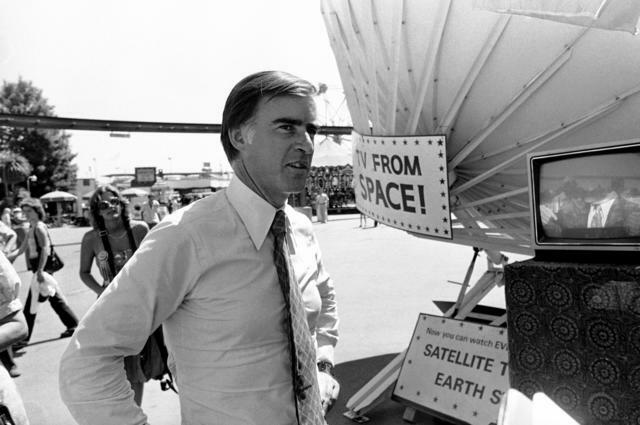 Jerry Brown, in 1981, has had a long interest in space technology. Living up to his old "Moonbeam" nickname, Gov. Jerry Brown concluded his climate change summit by pledging to send a satellite into orbit that would gather data on global warming. The governor said science was under attack by the Trump administration. "So we’re going to launch our own satellite, our own damn satellite," he said. Christine Blasey Ford, a Bay Area professor, was thrust into the battle over the Supreme Court nomination of Brett Kavanaugh after she came forward to accuse him of sexually assaulting her when they were teenagers. "She’s been trying to forget about this all of her life, basically," a friend of Ford's said. In a letter, 65 women who knew Kavanaugh in high school said he "treated women with decency and respect." For decades, California has kept a prescription history database that doctors could consult to spot signs of a patient "shopping" for opioid painkillers and other drugs. But many healthcare providers have ignored it. Now, as the opioid death toll worsens, a new California law makes checking the database mandatory. Volunteers stepped up in Humboldt County. 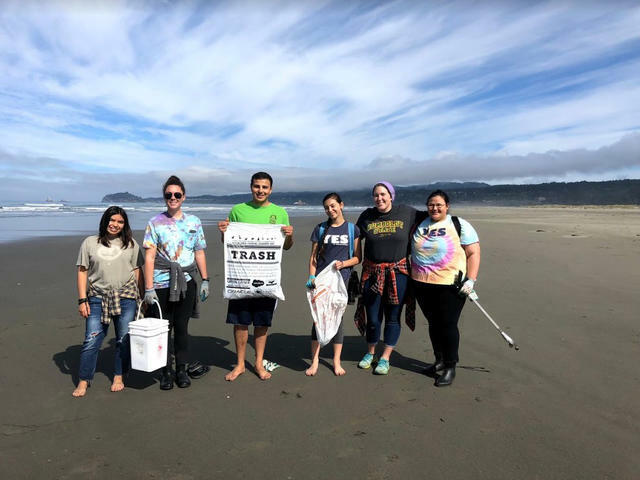 Tens of thousands of Californians spent their Saturday picking up trash for the annual California Coastal Cleanup Day Part of an international effort, it's one of the largest annual volunteer events on the planet. Cigarette butts, which travel from city curbs to storm drains to shores, consistently top the list of most common trash items. 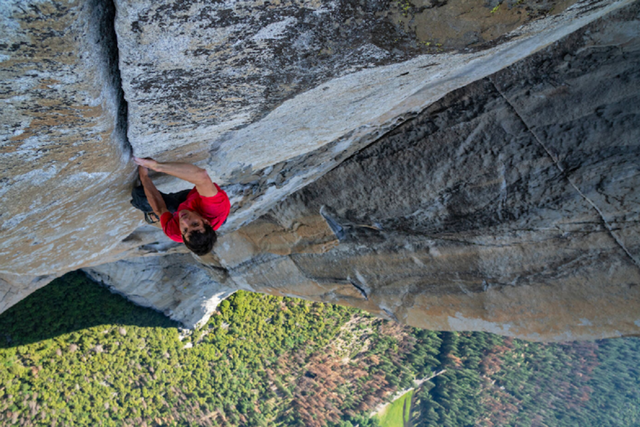 Alex Honnold climbed El Capitan without a rope last summer. Last year, Sacramento climber Alex Honnold free-soloed nearly 3,000 feet up El Capitan, Yosemite’s iconic granite wall. Climbing professionals called the feat "incomprehensible" and "generation-defining." Now, it's coming to the big screen in "Free Solo." One film critic called the documentary "one of the year’s more arresting character studies." Stanford's Serra Mall will get a name change. Stanford University said it would change the names of a campus mall and two buildings to scrub references to Junipero Serra, the founder of California Missions who historians blame for suppressing indigenous peoples. Serra Mall would become "Jane Stanford Way" in honor of the university’s co-founder. Separately, San Francisco last Friday removed a 19th-century statue near City Hall that was seen as demeaning to Native Americans. An old Northwestern Pacific Railroad bridge in Humboldt County. "California’s most epic bike route is ready to be built." 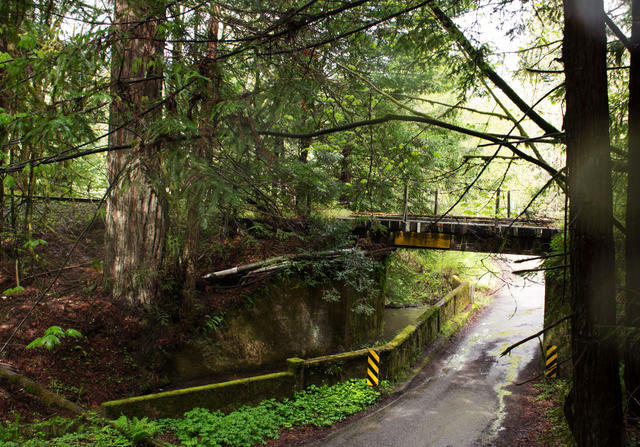 The Great Redwood Trail Act would turn 300 miles of decommissioned railroad tracks into a bike path winding from Marin County through Wine Country and Redwood forests, along the Russian and Eel Rivers, and up to Humboldt County. The measure, which won bipartisan support, is on Gov. Jerry Brown's desk. A sea lion got a little lost. 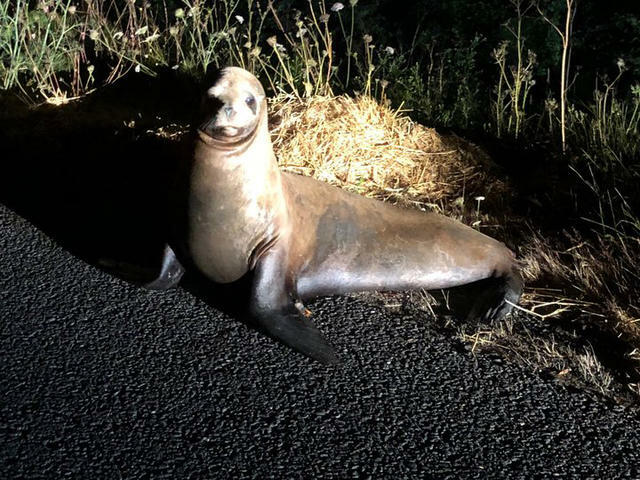 A wayward California sea lion lumbered onto a shoulder of Highway 101 in Humboldt County, leading the California Highway Patrol to get involved. Wildlife rescuers were roused from bed in the middle of the night to transport the heavy bull back to sea. There was no obvious explanation for what the animal was up to — aside from the fact that California sea lions do odd things sometimes. The cave has America's largest display of helictites, enigmatic mineral structures. "It is totally breathtaking." About an hour east of Sacramento is a mile-long underground world with 18 chambers, five water lakes, and super rare crystal formations. 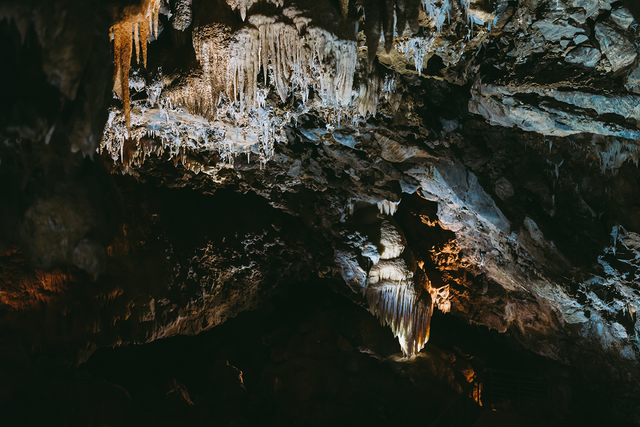 Visitors can tour the 2-million-year-old cave known as Black Chasm. They even host concerts and weddings there. "One of the strangest and most beautiful experiments of humanity." A quarter of San Diego County's population is foreign born, a much higher proportion than the national average. More than half of them come from Mexico and the Philippines. One in five are in the country illegally. The S.D. 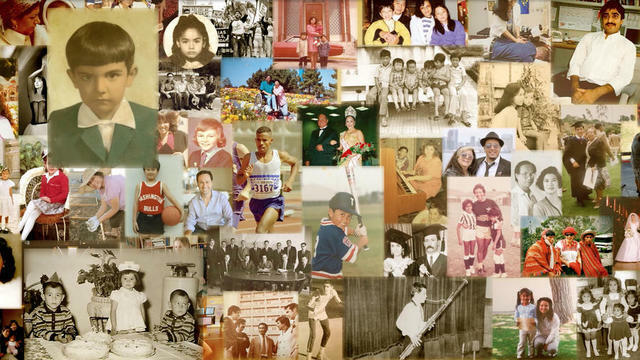 Union-Tribune collected the stories of 60 immigrants for a project called "Our Immigrant Story." A 16-year-old in Santa Barbara stumbled upon a black purse in the middle of the road. Inside was $10,000. Rather than blow it on video games, he brought the money to the sheriff's office. That's the right thing to do, he said. "I know I would want it back for sure." 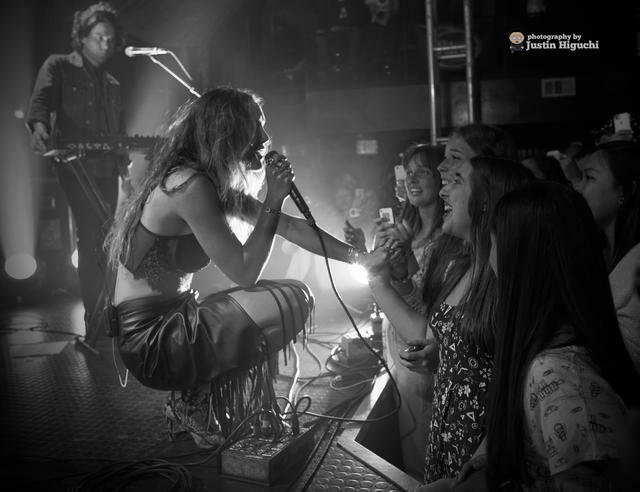 Singer Zella Day performed at the Troubadour, where audience members get close up. Longtime music journalist Fred Schruers has spent a lifetime attending live gigs. He told a podcast host his favorite five venues in Los Angeles. 5. The Greek Theatre — "A crazy cool outdoor place." 4. Whisky a Go Go — "An intimate, smoky, beer-spattered little place." 3. The Roxy Theatre — "You can't beat the Roxy for immersion in rock 'n' roll L.A. culture." 2. The Wiltern — "The place to get the classic, essential, rock 'n' roll, hippie vibe." 1. The Troubadour — "It's the intimacy that really sells the Troubadour to me." 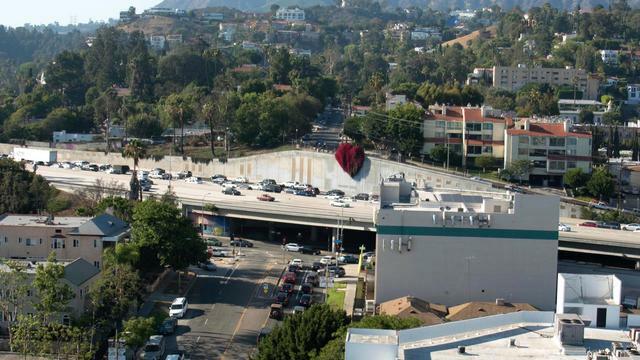 A heap of bougainvillea known as the Hollywood Heart spills from a retaining wall along the 101 Freeway. Watching movies under the stars at the Hollywood Forever cemetery. Blaming traffic when you’re late. Bougainvillea. Curbed created a list of 101 things to love about Los Angeles.